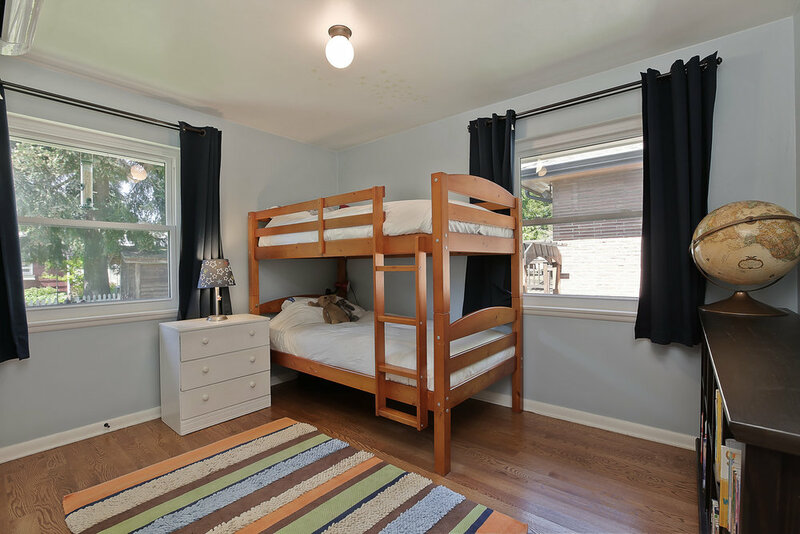 3 Bed · 1.75 Bath · 2,040 Sq. Ft. 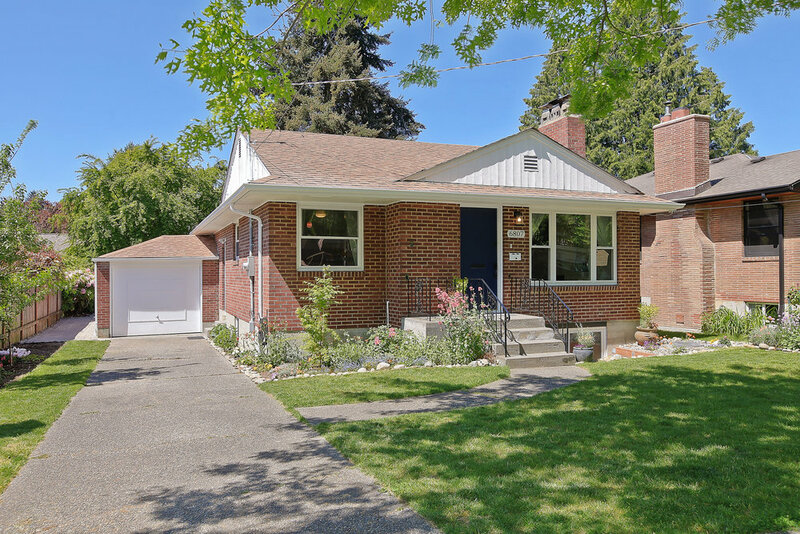 Completely remodeled Ravenna home walking distance to parks, schools, shops, cafes and restaurants. 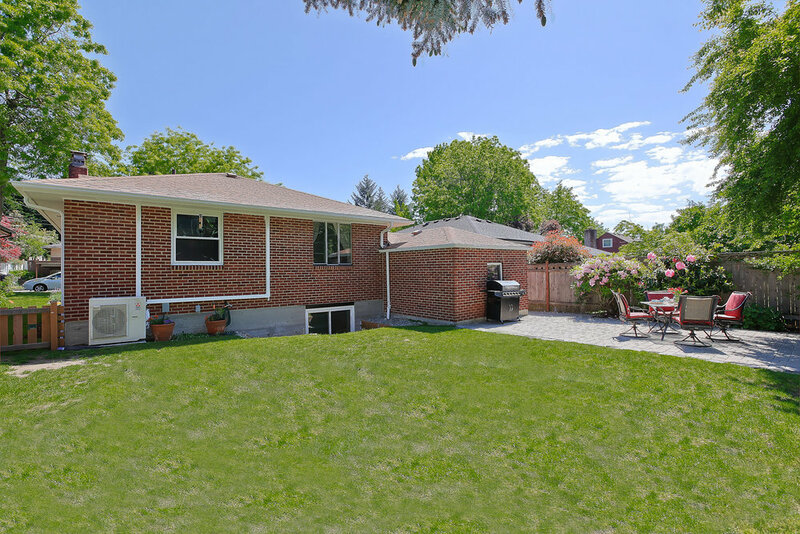 You will love this sunny level lot with fenced backyard & new paver patio. This ideal backyard offers abundant space to play, entertain and BBQ. 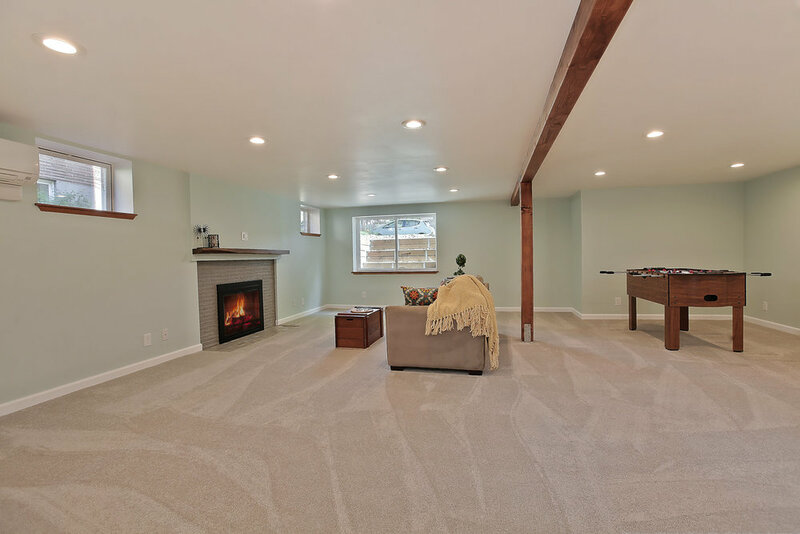 New oak hardwood floors and wood burning fireplace in living room welcome you home. 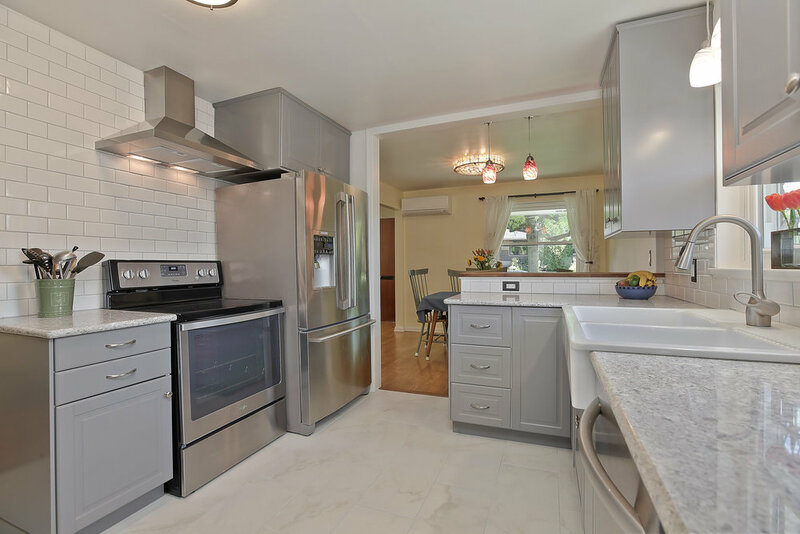 Brand new open kitchen features breakfast bar with solid oak butcher block surface, slab quartz countertops, new cabinets, double sink, tile floor and stainless steel appliances. 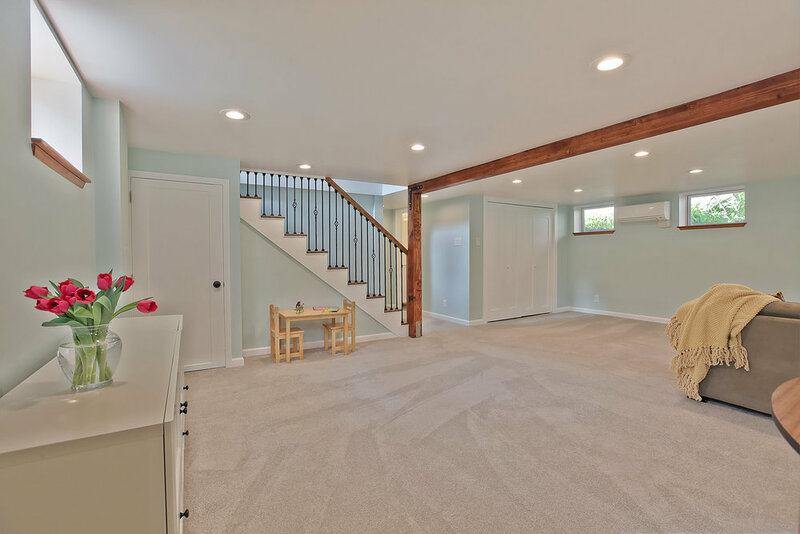 Follow the beautiful open railing and wood stairs to spacious lower-level daylight family room with stunning exposed wood beams and wood burning fireplace. 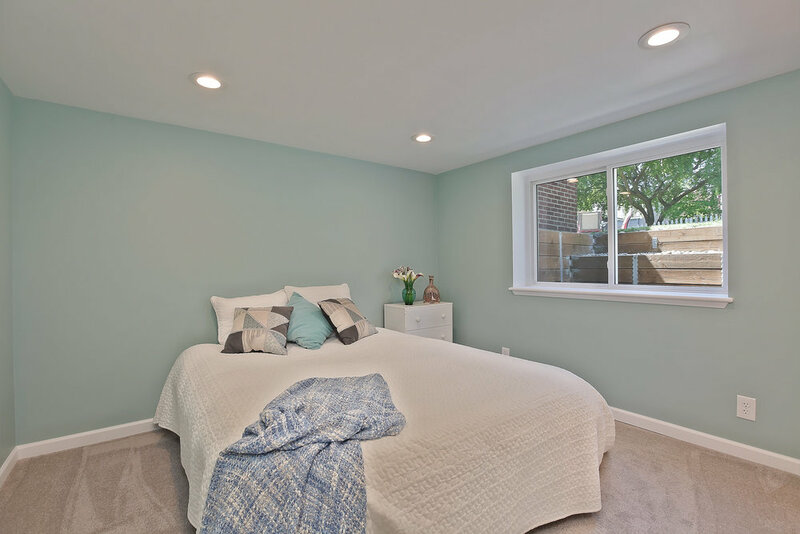 There is also a daylight bedroom with walk-in closet, and luxury bathroom with tile shower and double vanity with granite top. 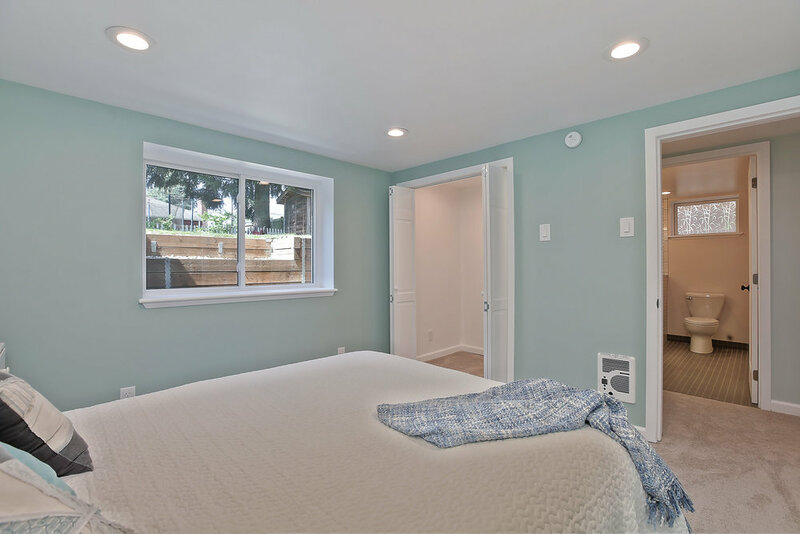 Intelligent closets and utility area with new hot water tank, washer and dryer and more storage complete this beautifully remodeled level. Attached garage and driveway with space for extra offstreet parking allow you to leave your cars parked and enjoy all the neighborhood has to offer on foot or bike. HOME UPDATES INCLUDE NEW: windows, electrical, plumbing, water line, appliances, basement interior French drain, flooring, & seismic retrofit. Walking distance to Ravenna-Eckstein community center and playground, Dahl field and playground, Cowen and Ravenna Parks. 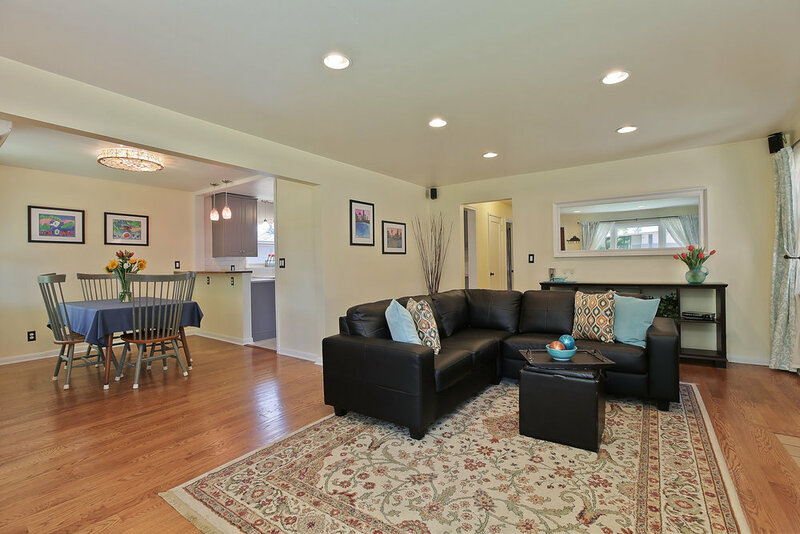 Excellent schools including Bryant Elementary, Eckstein middle school and Roosevelt high school are all a short walk away. 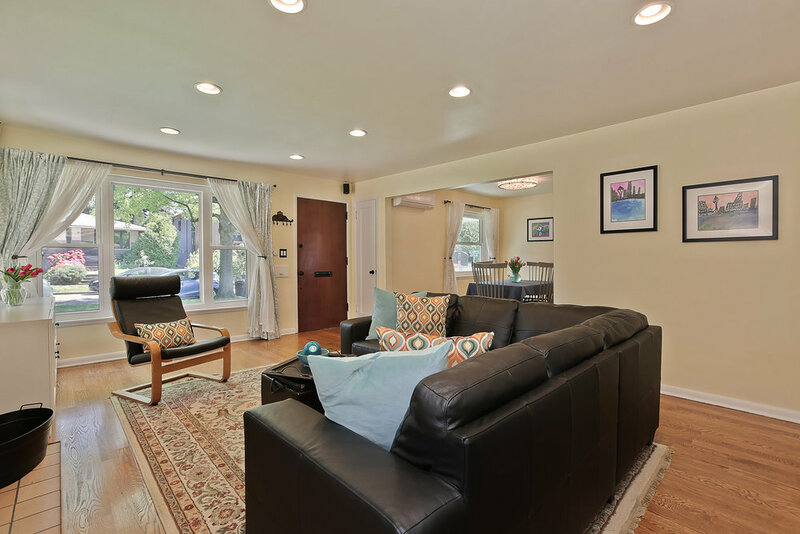 It is only a few blocks away from numerous cafes, bars, restaurants, bus lines, and bookstores and a nice run, walk or bike ride to Green Lake, The Burke Gilman bike trail and University Village. There are numerous bus stops a short walk away that offer direct and express bus lines to Downtown, South Lake Union, and the University of Washington. 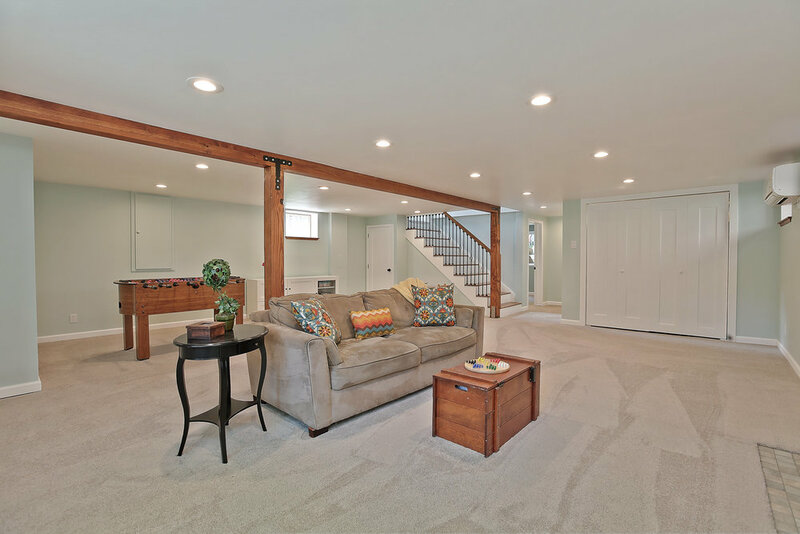 Finished basement with one bedroom, utility closet with W/D and new hot water heater, bathroom with large, tiled shower with bench and double vanity, and large open-concept great room. New carpet, reclaimed walnut mantle and tiled hearth, new exposed beams. New egress windows to basement bedroom and bonus room. New plumbing throughout, replaced galvanized with PEX. New water line from meter to house, replaced galvanized with 1” copper. New 200amp electrical panel, mast and wiring. New hardwood oak floors on main level. New interior and exterior paint. New 500 ft2 patio and path to backyard. Removed oil tank and furnace. New electric ductless heat pump with air conditioning. Includes four cassettes, by Mountain Valley Heating: http://www.mountainvalleyheating.com. 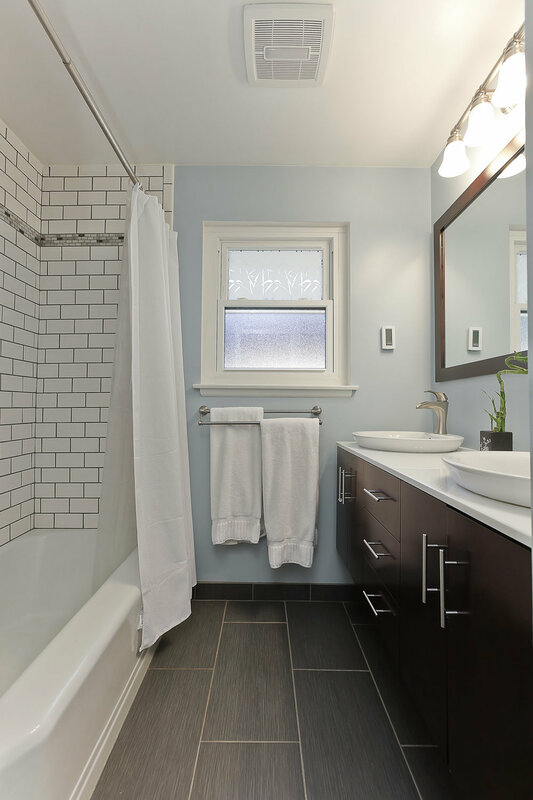 Completely renovated and updated main floor bathroom with tile floor, new fan, new toilet, in-floor heater, and tile tub surround. 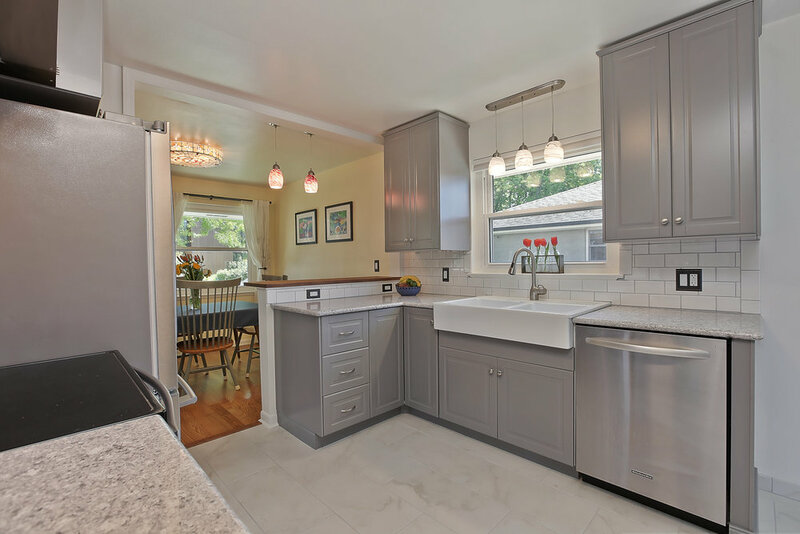 Completely renovated and updated kitchen, with new tile floor, new cabinets, slab quartz countertops, breakfast bar with solid oak butcher block surface, new stainless appliances including refrigerator, range and dishwasher, new double sink, new lighting. Fresh landscaping including local rocks, flowers and trees (peach, plum, oak).